With its luxurious imports and made-at-home essentials, this is district one for serious power-shopping. 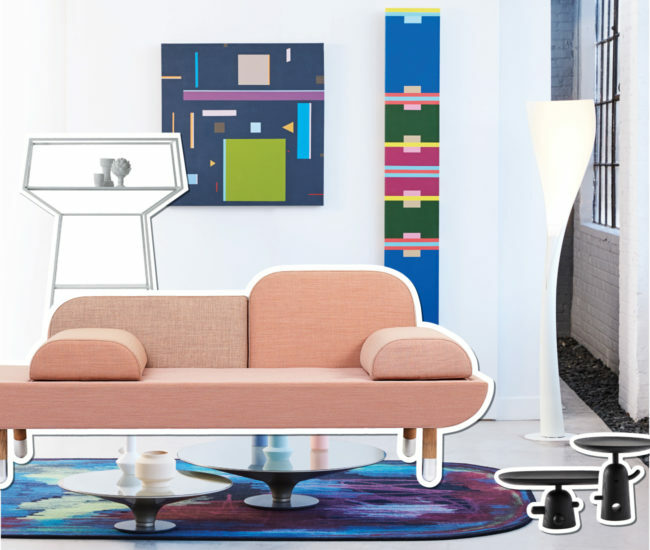 Mix the two up for a living room that’s truly magazine-worthy. Shown in our den setup above: Bonaldo bookshelf, at Suite 22 Interiors; Art by Burton Kramer, at UpCountry; Erik Jørgensen sofa, at Torp Inc. (in Midtown); Ovni tables, at Roche Bobois; Vases by EQ3; Moooi rug, at Klaus; Lamp by Artemide; Sculptures by Cassina, at Italinteriors. 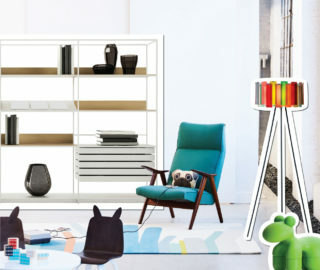 With 44 stores to browse, you’ll find everything from sculptural bookcases shaped like wandering polar bears to an espresso machine modelled after volcanic rock. 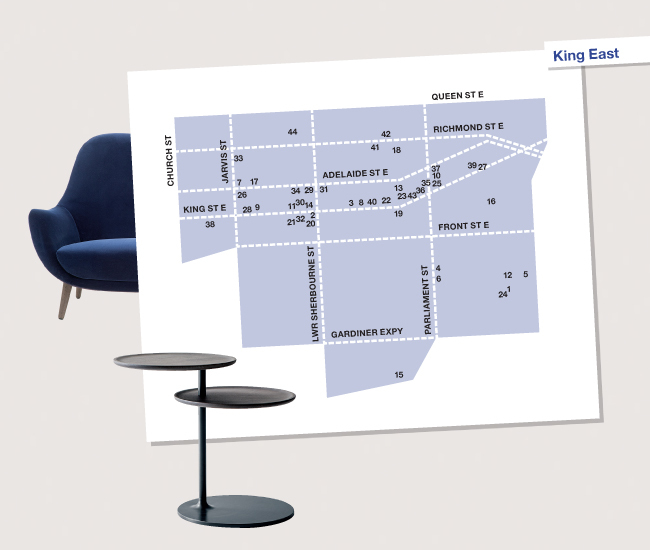 Use our interactive King East Google map to get more information about any of this eclectic design district’s hottest shops. • Stylish doesn’t mean stiff at Italinteriors, as evidenced by the wooden duck and funky Cassina servingware mingling with high-end Italian furniture and a stunning Boffi kitchen setup upstairs. 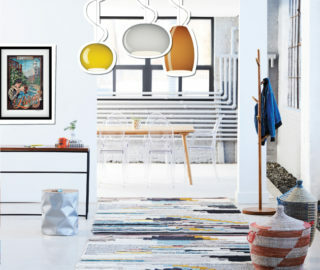 • Design Within Reach artfully combines licensed classics from Knoll, Cassina and Herman Miller with icons-in-the-making from current-day contemporary design stars. • Kiosk’s three-storey space is as architecturally striking as many of the city’s art institutions, and no wonder – the luxe seating, tables and lighting on the show floor are functional furniture pieces masquerading as sculptures. Europe may supply the majority of the furniture on offer in King East, but the neighbourhood’s best pastries hail from another corner of the globe: Japan. Design firm Dialogue 38 adds warmth to this café’s concrete interior with caramel-hued leather benches and a bar clad in wooden dowels. The result is a space so beautifully zen that you might be left wondering if you somehow teleported to Tokyo on the way in. OUR FAVOURITE ORDER: Big in Japan and just as divine here, matcha-flavoured drinks and desserts distinguish Neo from neighbouring espresso joints. 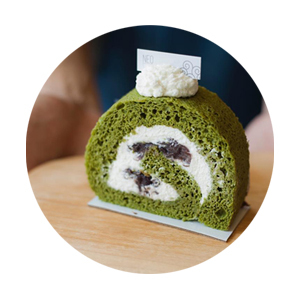 A matcha latte makes a perfect accompaniment to a sponge-y matcha and adzuki roll cake. Both come in a super-saturated, Shrek-esque hue. DON’T MISS INSTAGRAMMING: The ornate swirls of foam that top drinks served up by barista Bruce Ly – who placed first at the Canadian National Latte Art competition last year – elevate the basic coffee cup photo into something novel again. Can’t decide whether to take the plunge and order that new sofa you’ve been eyeing all morning? Head south of King East’s retail strip to mull over the decision in this fun urban green space, recently reimagined by landscape designer Claude Cormier. Still awaiting a few finishing touches, the revamped park’s centrepiece is a flamboyant water fountain embellished with two dozen-odd ceramic canines (plus a cat and two birds). Once water starts flowing this spring, the fountain is sure to be surrounded by real-life dogs quenching their thirst from the trough installed at the base. It’s the kind of whimsical landmark that might just convince you to march back up to the sofa store and order a couch in bold hot pink fabric. DON’T MISS INSTAGRAMMING: With 27 dog sculptures on display, this is your chance to make known your favourite breed. West Highland Terriers, Dalmations and St Bernards all receive their due. Pink checkerboard paving stones throughout the rest of the park nod to the historic red brick Flatiron building at its eastern end – another popular attraction for city shutterbugs.